Lock up the silverware! 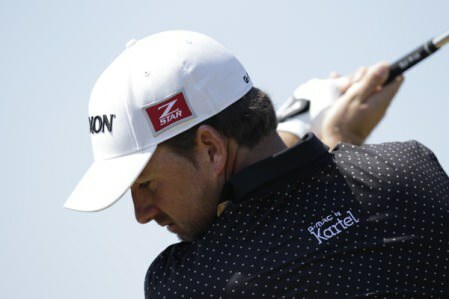 Graeme McDowell already has a sackful this season but the 21-year old from Rathmore is hungry for more. Graeme McDowellThis guy is playing so well he’s threatening to win everything following some truly spectacular performances on the Irish amateur scene this season. So spectacular, in fact, that the 21 year-old from Portrush has almost totally overshadowed the early season exploits of Portmarnock’s Noel Fox. A winner already of the Irish and Leinster Youths titles, the young Ulsterman moved up another gear, winning the prestigious Irish Close Championship at Royal Portrush in June, the World Universities Championship at Castlerock in late July and then the South of Ireland championship at Lahinch earlier this week. As a reward for winning the Shell-sponsored South, McDowell has won the right to play in the Houston Open in Texas in April and rub shoulders with the game’s top pros. After such an impressive run most golfers would be thinking of taking a breather, but not McDowell. When you’re confident, you’re confident and the youngster is still on a high after seasoned performances that remind some observers of the youthful exploits of Irish greats such as Ronan Rafferty, Padraig Harrington or Paul McGinley. But for a young man who has spent the best part of the year playing competitive college golf for the University of Alabama, Graeme McDowell’s hunger for victory is even more impressive. And he won’t stop until he achieves his ambition - an appearance in the Great Britain and Ireland Walker Cup team to face the United States next year. He said: “I have the European Individual Amateur in Austria next week and then it’s Palmer Cup, which is university players from Great Britain and Ireland versus the US at Hoylake. Then it’s the Belgian Juniors and Nations Cup in Brussels and finally the Home Internationals at Carnoustie, which is a really great track and something special that I’m really looking forward to. The year in the United States has obviously made a huge difference to McDowell, a mechanical engineering student. Not only has he exploded as a golfer, but he has grown stronger physically thanks to a serious golf fitness programme. Tiger Woods is changing the way the game is taught and played and McDowell sees the World number one as an example to follow. “Tiger’s got a swing that everyone will try to copy because it’s just a picture of strength. He’s just ridiculously good. And it’s not that he’s physically huge, it’s just that he’s so fit. His physique is incredible and he’s just the best by a long way. McDowell has taken a leaf out of the Woods book is now hitting the ball further than ever. McDowell’s American experience has been an eye-opener but it’s something he feels can only help his game, despite the challenges. “I never knew there were so many good players over there. I’d say that the top 50 college players could make it on the PGA Tour. “I was ranked 150th in the college rankings this year but I was 9th in the list of freshmen, or first year students, so that was good after having a fairly average year before I started to get it going towards the end”, he said. But it is the Walker Cup that fires this young man’s imagination. He explained: “The Walker Cup is the long-term goal for me I think the British and Irish players based in American colleges will have more of a chance. Coached from an early age by his Uncle Eul Loughrey, a greenkeeper and four handicapper at Royal Portrush, McDowell is living eating and sleeping golf. A semi-finalist in the North of Ireland championship at Royal Portrush and 10th in the East of Ireland at County Louth, McDowell is following in the footsteps of his great hero, Garth McGimpsey. McGimpsey has won 14 major amateur domestic title, the British Amateur Championship, and has played in the US Masters and three Walker Cup sides. With youth, nerve and skill on his side, who’d bet against beating Europe’s best at Austria’s Styrian Golf Club next week. Ireland’s boys can take their revenge for that European Team Championship defeat by Scotland last month with victory in the Home Internationals at Portmarnock. Backboned by the super six who helped Ireland reach the final in Holland, there are five newcomers to the team for the Boys’ Home Internationals, which take place at the famous Dublin links from Wednesday to Friday next. Eoin Arthurs (Forrest Little), Clancy Bowe (Tramore), David Gannon (Co. Louth), Brian McElhinney (North West) and Ulster Boys champion Richard Kilpatrick (Banbridge) will make their international debuts alongside Connor Doran (Banbridge), Kenneth Fahey (Connemara), Philip McLaughlin (Ballyliffin), Derek McNamara (Connemara) and Martin McTernan (Co. Sligo). We all have trouble getting the hole, but it’s hard to beat this story from Sky Sports golf expert Philip Parkin. Parkin won the British Amateur Championship at Turnberry in 1983, and an automatic invitation to the play in the Masters at Augusta the following spring. The Welshman immediately dashed out, putter in hand, to search for a putting green to practice on. After several seconds searching for some practice holes to putt towards, Parkin finally realised what was wrong. Gary Player may be Mr Golf, but the nine times Major winner still has his heroes. After missing the cut in the Senior British Open at Royal County Down last week, the man in black pounded ball after ball on the range at the weekend, searching for his game. Taking an occasional break, the great South African spent over an hour chatting with his practice ground neighbours. The subject - Ben Hogan’s famous ‘move’, the secret of the American’s legendary ball striking. Needless to say, Player didn’t see eye to eye with his fellow South African and 1991 Senior British Open champion, his brother in law Bobby Verwey. The Hogan legend lives on, but 64 year-old Player still searches for perfection. Something is stirring Down Under. Rebecca Coakley’s stunning six shot win in the Irish Ladies Open Strokeplay Championship at Birr last weekend has created quite a buzz. Born in Australia of an Irish father and English mother, Coakley was brought to Ireland when she was born but left to live in Australia when she was five. Despite that she was very much at home in Birr, shooting rounds of 70, 71 and 64 to finish well clear of Cork’s Claire Coughlan. 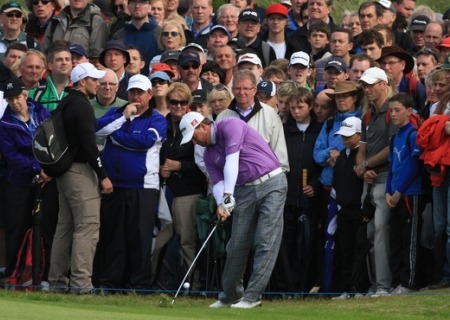 Graeme McDowell believes the Claret Jug will be staying in Ireland this year. Picture Fran Caffrey/www.golffile.iePadraig Harrington will spearhead Ireland’s bid for more major glory next month when he bids for a third Claret Jug. 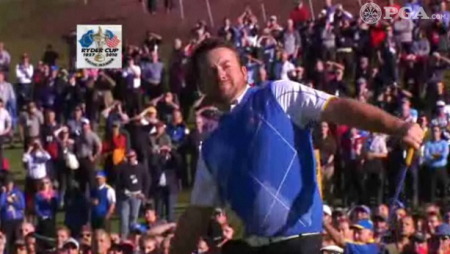 Graeme McDowell smiles after his brilliant two-put at the last. 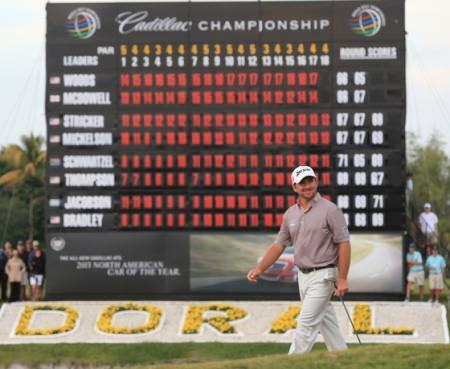 .Picture: Fran Caffrey / www.golffile.ie Graeme McDowell could have been forgiven for waving the white flag but he refused to bow to Tiger Woods and vowed to chase him down in what promises to be a wind-blown final round at the WGC-Cadillac Championship at Doral’s Blue Monster. Graeme McDowell with the Open de France trophy. ©Getty ImagesAs far as we know, the great French writer Marcel Proust did not play golf but he would have been intrigued by Graeme McDowell’s responses to his famous Questionnaire. Graeme McDowell will be seeking yet another national open title in Canada. Picture Eoin Clarke www.golffile.ieGraeme McDowell might have won three times already this season but apart from some regrets about his disappointing performances in the majors, the popular Portriush man has probalby walked away from people brandishing microphones and tape recorders wishing he wasn’t such a prolific sound-bite machine.